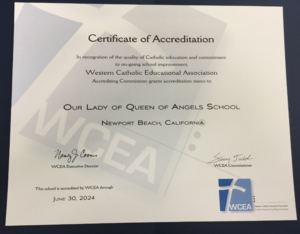 OLQA School has once again proven its commitment to academic excellence and providing quality Catholic education by receiving a full-six year accreditation beginning school year 2018, on their recent WCEA/WASC accreditation. This success can be attributed to the concerted effort of so many people such as our pastor (Fr. Kerry), principals (Ms. Ryan/Mrs. 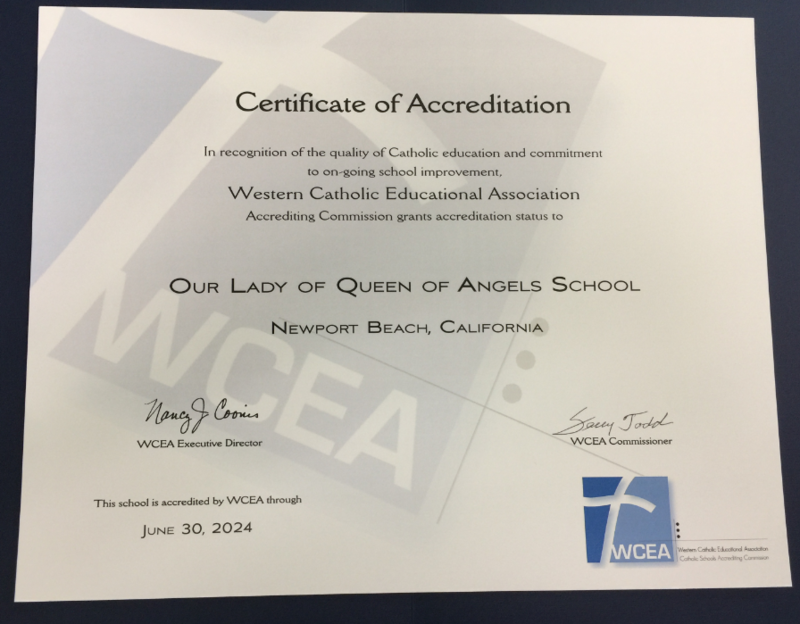 Fedak), accreditation chair (Mrs. Cincotta), faculty and staff and our school families to continually improve OLQA school and provide the very best for our students.